Welcome back to Cider Sunday everyone. 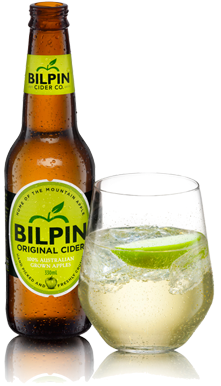 It's been a few weeks since I posted Cider Sunday - A week in review or an actual cider review for that matter. Being pregnant makes it hard to review cider. However, the countdown has begun and Cider Sunday will return before December. I have a few exciting new ciders lined up to sample. In the meantime, this recipe came about because the lovely people at Woolworths asked me to sample some of their Macro Gluten Free products. You may remember a few weeks back I posted some photos via social media of me testing the Macro Gluten Free Banana Bread. I also tried the Macro Gluten Free Cafe Style Muesli and its now one of my favourite breakfasts - I serve it with fresh fruit and a dollop of yogurt. Woolworths Macro Gluten Free range offers more than 30 products from snacks to cooking essentials and cereals and is Australia’s leading brand for people living with coeliac disease or gluten intolerance as well those who choose to eat gluten free for other health and wellbeing reasons. I came across this recipe on the blog Gluten Free on a Shoestring and thought it warranted some attention. 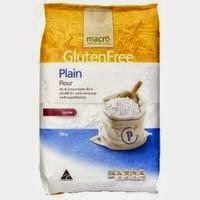 A perfect choice for trying out the Macro range gluten free flour. Preheat your oven to 160'C. Grease a 12 x mini doughnut pan. ( I only have a 6 donut capacity tin as that is the only one I could find). In a large bowl, place the flour, xanthan gum, baking powder, baking soda, 1 teaspoon ground cinnamon, salt, cream of tartar, nutmeg and 3/4 cup granulated sugar, and whisk to combine well. Add the butter, eggs and cider, and mix to combine well. Continue to mix until it begins to thicken. Transfer the batter to a piping bag * fitted with a small plain tip or a squeeze bottle. If using a piping bag, be careful not to let the batter come out of the tip where you don’t intend it to. Squeeze the batter into the prepared doughnut wells until they are each about 2/3 of the way full. Shake the pan back and forth horizontally until the batter is in an even layer in each well. * Alternatively, carefully spoon mixture into pan and spread evenly with a spatula. Place the pan in the center of the preheated oven and bake until the tops of the doughnuts spring back when pressed (about 8 minutes). The underside will be browned, but the tops will still be relatively pale. Remove the pan from the oven and allow the doughnuts to cool for about 3 minutes, or until they are no longer too hot to touch. While the doughnuts cool slightly, place the cinnamon sugar mixture in a shallow pan or bowl. Gently remove the slightly cooled (but still warm) doughnuts from the doughnut pan with your fingertips and turn them around in the cinnamon sugar until they are well-coated on all sides. Place the finished doughnuts on a clean sheet of parchment paper. Repeat the above steps for the rest of the doughnut batter and resulting doughnuts. Serve immediately, or at least within a day or two stored uncovered at room temperature. Freeze any remaining leftovers in a sealed, freezer-safe container. To sample the new Macro Range of products, Woolworths and The Food Mentalist are giving readers the chance to win a $100 Woolworths Gift Card. Simply leave a comment below telling us which Macro Gluten Free product you can't wait to try and why. Entries are open to all Australian residents and close at midnight on 25 October 2013. Please make sure you include a current email address with your answer so we can contact the lucky winner. I could flavour it with cocoa, lemon or orange. I could make 'normal' birthday cakes ALL the family could share. 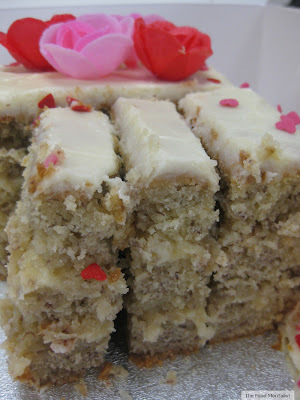 I'd really like to test Macro Gluten Free Sponge Cake Mix for it's fluffiness and versatility! My goodness, I can't wait to try this recipe! My Dad is a Coeliac with a sweet tooth, so he's already into the Macro chocolate biscuits now that he can't have Tim Tams. Because beer contains gluten, he's also really into cider, so these donuts would be a perfect sweet treat for him (to be honest, apple cider in sugar-cinnamon donuts sounds like a delicious recipe for me, too!). If I were to win, I'd be buying the Macro gluten free flour - such a godsend because it's so easy to substitute into recipes - and I'd be making these donuts! I would love to try the Double choc biscuits. They look yummy and a perfect treat to have in the cupboard when a coeliac friend comes over for a cuppa. I'd love to serve Macro Gluten Free Beetroot Chips during our next family DVD night. I can't wait to see the kids faces when they realised they just scoffed down something that was healthy for them... and beetroot to boot. I haven't had a 'Tim Tam' in a long while - I would love to try a Macro gluten free double choc biscuit. If only to do a 'Tim Tam Slam'! I love the Macro product but generally only purchase more healthy options as there are too many new treats on the market to try them all at once!